Karekare Beach at sunrise, with flowering pohutukawa trees in foreground. Looking past Karekare Stream to Panatahi Island, towards Whatipu. 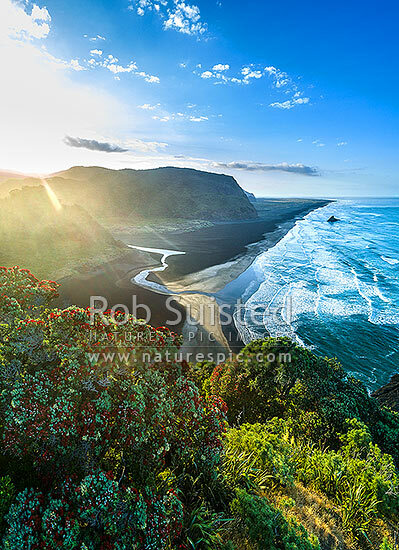 Moody aerial view, Karekare Beach, Waitakere City District, Auckland Region, New Zealand (NZ), stock photo.